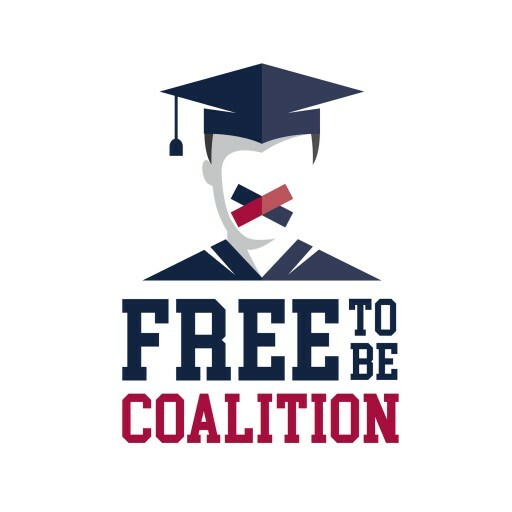 The Free to Be Coalition is a new effort to promote respectful and productive dialogue and expand intellectual diversity on University campuses. The University exists for no greater purpose than to encourage students to challenge their beliefs through the guarantee of free speech and intellectual debate. It’s time to move the needle even farther – this Coalition is committed to doing just that. Founded in Colorado by Heidi Ganahl, an entrepreneur and an elected Regent at the University of Colorado; Marcus Fotenos, a student leader at the University of Colorado and Former Student Body President; and Nilam Desai, a seasoned executive in international business development, the Free to Be Coalition brings forth a suite of initiatives to protect free speech on college campuses. Students, alumni, faculty, administrators, trustees/leadership and those passionate about protecting the first amendment will have a means to stay in touch, network and share stories. The Free to Be Coalition launched earlier this month, hosting their first meeting of the Free to Be Student Debate Club at CU Boulder. They also joined forces with the Steamboat Institute to host Nigel Farage, the former leader of the UK Independence Party and mastermind behind Brexit, and Vicente Fox, the former President of Mexico who debated Globalism vs Nationalism at four Universities nationwide. "We were honored that Vicente Fox and Nigel Farage, two transformative and opinionated figures from both sides of the political spectrum came together and demonstrated by example the meaning of respectful debate and the right for all to listen, agree or disagree on views which differ from their own," said Ganahl. Nigel Farage, whose voice rang out across the UK in defense of liberty and the plight of ordinary citizens, said "free and open debate on subjects like the European Union has disappeared in British universities. Critical thinking has gone out of the window. Increasingly, our young people are taught that one side of the argument is correct, and the other side and its proponents are evil." "Something drastic needs to be done to counter this. I admire the efforts of the Free to Be Coalition in addressing these issues surrounding the threats to free speech on university campuses," Farage added. Former President of Mexico Vicente Fox Quesada stated, "The ideas put forth by the Free to Be Coalition to initiate discussion and debate on two sides of critical issues facing the world is both timely and important given the environment on college campuses today. It is essential for students to listen to differing thoughts and opinions and exercise their rights to express these opinions openly. In this Land of the Free where individual rights should be respected, initiatives such as these that foster open debate help teach students how to engage in civil discourse." "Attempts to curtail free speech on campuses continues to threaten academic freedom. The Free to Be Coalition will be on the front lines of defending academic liberty on campus. Our efforts will provide the opportunity for both students and the community to listen to difference of opinions in a civil manner, in order to freely form their own conclusions on these oftentimes contentious issues," said Fotenos. "The absence of diversity of thought and intolerance of opposing views are major obstacles in the road to academic freedom. The Free to Be Coalition aims to expose students to considering alternate points of view and ensuring their rights to free speech," said Desai. The debates took place at the University of Colorado Boulder, UCCS, University of Maryland, College Park and Lafayette College in early April. The debate series is one initiative of many that the Free to Be Coalition is initiating to drive ideological diversity and protect free speech on college campuses. Other efforts include the Free to Be Student Debate Club, a Free to Be Higher Ed Leadership Roundtable this Fall, a "How to Free Speech" student marketing effort and a technology option for students to share stories and ideas on free speech and intellectual diversity.